The pain in my right knee has settled to just above the kneecap. Per my doctor's instructions, I've been alternating between heat and cold. The cold seems to make it hurt more while the heat actually gets rid of all the pain. My knee was killing me last night after I ended up standing on it for a couple of hours. 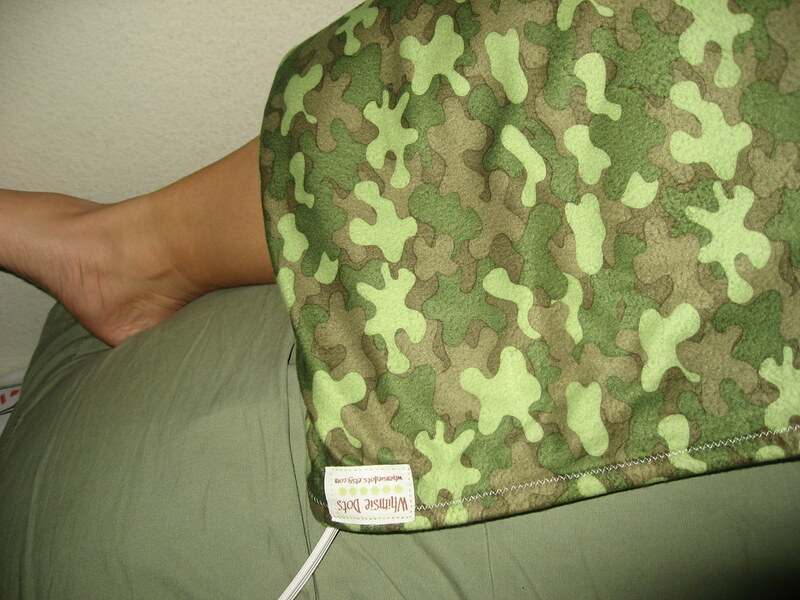 I iced it when I got home and then used my heating pad with the cute camouflage cover Whimsie Dots custom made for me. When I woke up this morning, I gingerly walked around the apartment and when I didn't feel any pain, I headed to my boot camp class a half hour early so I could get a good stretch in. After stretching, it didn't hurt but it did get really stiff. I was able to make it through the entire class but I didn't push myself like I normally do. My goal was to finish the class without further aggravating my knee. Tomorrow, I'm going to kickbox in the morning and then try out my very first spin class. Hopefully, I'll be able to do my interval run on Tuesday. At the very least, I hope I can get a good 3-5 mile run in.